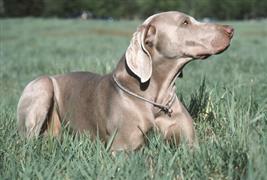 Weimaraner owners often select German names that are consistent with the breed’s roots. Among the top German names are Emery, Heidi, and Luther. Weims have been nicknamed ‘grey ghost’ by some due to their unique coats. Casper and Slimer are a couple of ghost-themed names. Names derived from the breed’s distinctive grey color include Asher, Dusk, and Silver. Finding the right name for your pup can be as easy as visiting the local bar. Many cool choices can be taken from types of alcohol. Skyy, Cirrus, and Rain are a few vodka inspired ideas. Booker, Castle, and Barton come from whiskeys. For the beer enthusiasts there is Bud, Guiness, Amstel, and Foster. Some of our pages will contain a subcategory. A subcategory is a slightly more specific grouping than the main topic of the page. For a subcategory, we will include a separated table of names and corresponding descriptions. An example of a subcategory of Red Dog Names would be 'Dog Names Inspired by Red Wines'. If you have any subcategory ideas for the Weimaraner Names page, we would love to hear them. Use the form below to submit your ideas.